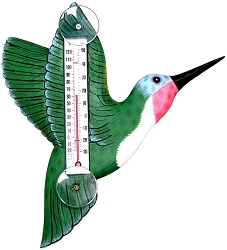 Vermont Outdoor Thermometer and Rain Gauge Combo! Made of solid living finish brass finish and guaranteed for life! 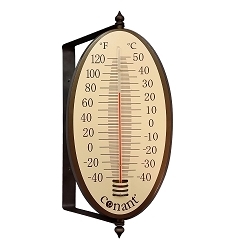 Vermont Thermometer - With its clean lines and classic elegance, the original Vermont Outdoor Thermometer makes a wonderful accent for the homeowner. 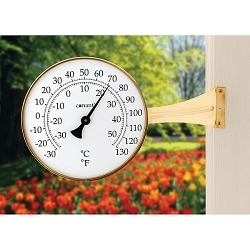 The antiqued solid brass housing and mounting bracket of the brass outdoor thermometer are not coated, painted or plated, so it won't peel, chip, or rust. 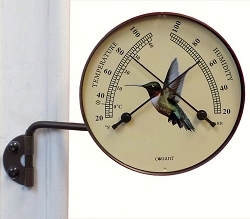 The Vermont outdoor thermometer is guaranteed for life! 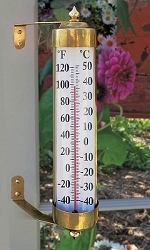 This brass outdoor thermometer has both Fahrenheit and Celsius scales. 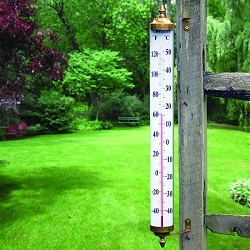 The Vermont outdoor thermometer uses accurate spirit tube technology and is entirely mercury free. 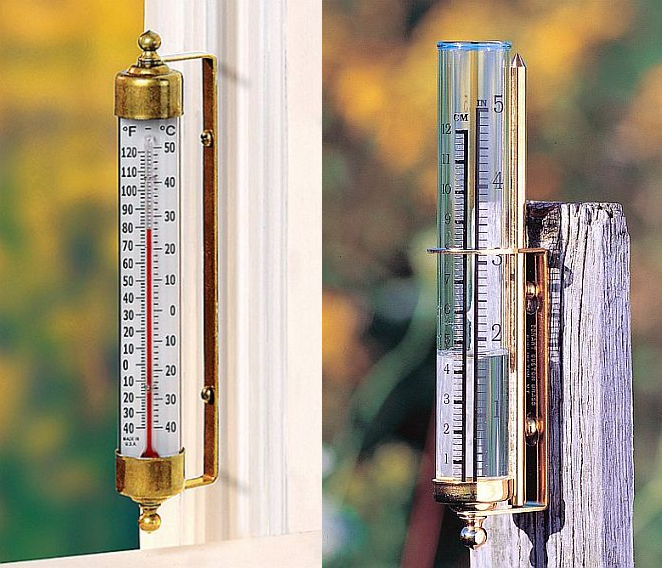 Vermont Rain Gauge - This handsome solid brass and clear glass garden rain gauge is an extremely accurate product for measuring inches or centimeters of rain fall. The Vermont Rain Gauge is striking in the garden with incredible durability to ensure years, even decades of use. Decorative verdigris leaves included. 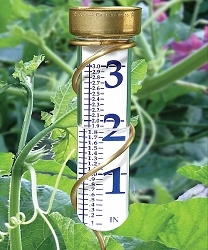 Whether you want to make sure your flowers received enough water during a storm so that you don't need to water them or simply test the local weather forecast, the Vermont Rain Gauge makes a nice addition to your garden, potted plant or fence. 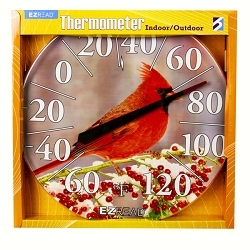 The Vermont Outdoor Thermometer and Rain Gauge Combo makes a great gift for any occasion!